William Harris “Billy” Moore passed away February 10, 2019 at the age of 82. He was born March 25, 1936 to the late Augustus Cecil Moore and Beatrice Gilmer Moore. Graveside services will be Thursday, February 14, 2019 at 10:00 a.m. at Marion Junction Cemetery with Rev. Troy McPherson officiating and Lawrence Brown-Service Funeral Home directing. There will be no formal visitation. 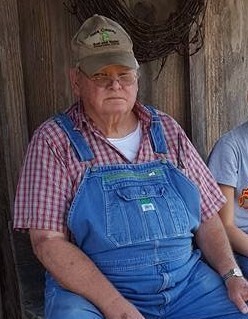 He is survived by his wife, Jean Moore; daughter, Sutton Moore Gibbs; son, Scott (Leigh Ann) Moore; grandchildren, Katie Ryon Gibbs and Tanner Moore. Pallbearers will be Adam McHugh, Blake Willis, Tommy Moore, Billy Powell, Gray Cogle and Hugh Hobbs. Honorary pallbearers will be Jimmy Sealy, Jimmy Holliman, Doug Gresham, Gene Pegues, Ralph Hobbs and Sol Tepper. In lieu of flowers, the family requests you make memorial donations to Marion Junction Presbyterian Church; 1215 County Road 25, Marion Junction, Alabama 36759 or Big Oak Ranch; P.O. Box 507, Springsville, Alabama 35146.